The temples were turned to stores, grocery shops, and restaurants. Some were even turned to madrasas where children went to learn more about Islam. Pakistan government has offered to restore 400 temples in its country and return them to the Hindus, with perhaps an eye on mending ties with India. The temples, which were left abandoned during the partition were turned to stores, grocery shops, and restaurants. Some were encroached upon while few others were turned to madrasas where children went to learn more about Islam, reports India Today. While the majority of Hindus in Pakistan left during the partition, some still stayed behind. However, they could not visit their temples since many locals occupied the land and kept it for themselves. In a bid to appease the minority Hindu population of the country, the Imran Khan-led Pakistan government announced that they will reclaim the temples, restore them and give them back to the Hindus. Since there are over 400 temples, the government will focus on restoring two temples per year. They will start with the temples in Sialkot and Peshawar. Sialkot has a Jagannath temple and a Shivalaya Teja Singh temple. 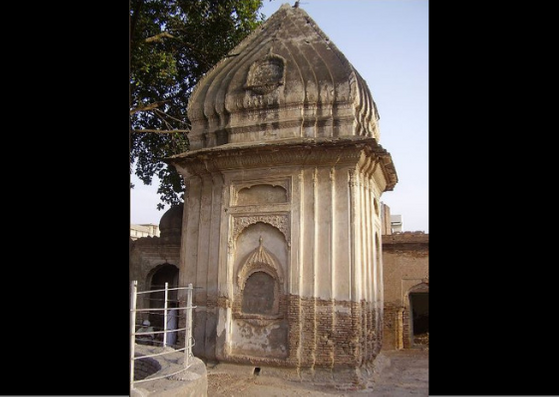 The Shivalaya Teja Singh temple in Sialkot was abandoned after the temple goers were attacked by a mob post the Babri Masjid demolition in 1992 in Ayodhya, Uttar Pradesh. There is a Gorakhnath temple in Peshawar which was declared a heritage site. This is part of the latest attempts to mend the bridge between Indian and Pakistan. A few months back, Pakistan Prime Minister Imran Khan agreed to open the Kartarpur Sahib corridor to help facilitate Sikhs from the Indian side to visit Guru Nanak's birthplace. India Today states that Pakistan is also making plans to allow Pakistani Hindus to visit the Sharda Peeth, an old temple situated in Pakistan occupied Kashmir.